I had been struggling with a knee injured from Nov-Dec and this was designed as a long casual training run with my buddy Matt Dunn. It was cold, muddy and took us most of the day to work our way around this mud-fest of a route but it served its purpose. 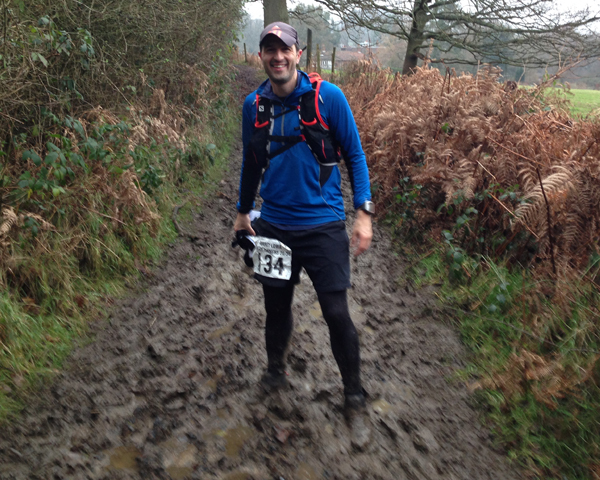 My annual warm up Ultra event for the year saw the course once again re-routed due to flooding and reduced in length from its planned 48 miles. I had a disappointing run and at one point was reduced to a forced march due to the recurring knee injury but rallied towards the end to finish with a run in a slightly disappointing time of 7hrs 45mins. After the knee injured seemed to settle down I got down to some usual training and even put in some regular Hill rep sessions before my local Half Marathon event and one which I had organised 25+ employees from my company to take part in. I enjoyed the run didn’t push too hard and finished feeling pretty comfortable a reasonable 1hr 33mins and spent some time cheering on my work colleagues. An enjoyable day overall. 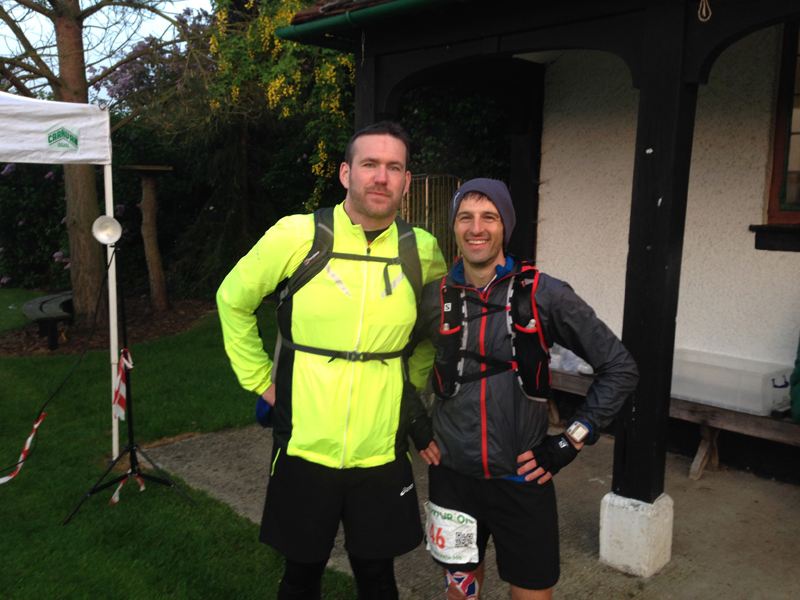 I decided on a late entry to this event purely to give me a chance to recce the second half of the SDW100 route. I was putting in 100 mile training weeks in April (with events) and was feeling like I was in getting into good condition. This was a planned training run which I completed in 8hrs 17mins and felt pretty comfortable throughout. 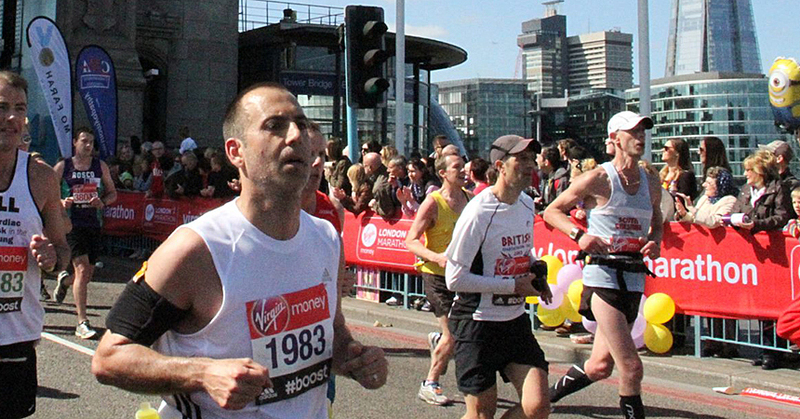 A week after the SDW50, I took part in my first London Marathon (after waiting for a ballot entry for 5 years). I felt quite good on the day but the volume of runners at the start made it difficult to find some space and get into your own personal rhythm and so I settled for a “just enjoy the day” run. 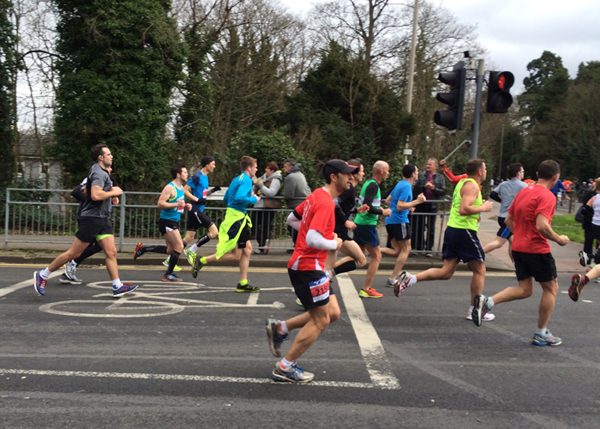 However, I was feeling good, the runners started thinning at the half-way point and I carried on. 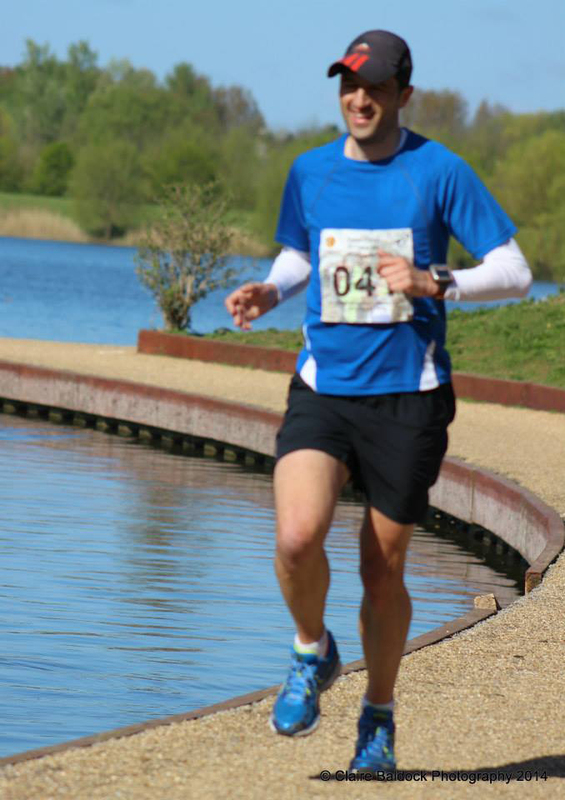 At 20 miles when people often start to flag I felt ridiculously good and maintained a good pace knowing a PB and GFA time of 3.15 (for us oldies) was in sight. 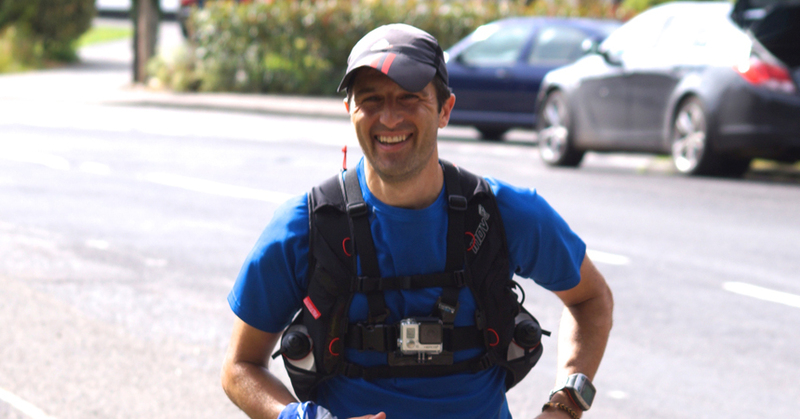 I passed 611 runners in the last 7.2km with no-one passing me, ran a 7 minute negative split in the second half and smashed my PB by 9 minutes finishing in 3.13 all whilst running around and shooting some video on my camera phone (which can be seen here). I honestly believe that I will never have a more comfortable Marathon run in my life, it was the one day when everything felt easy and super comfortable. Less than a week after London, I took part in the low key and relaxed Good Friday Marathon which was the complete opposite of the razzmatazz and volume of London (30,000 runners compared to about 50 here). It was my last long run before my first goal race the Thames Path 100 and I finished in 3.20 which would have been a couple of minute PB before London the week before. I was feeling pretty fit and strong at this point. My “A” race of the year with a target of my first sub 20hr 100 mile finish. Unfortunately, I suffered a recurrence of the knee injury during the taper with my knee swelling up and feeling stiff and sore. Thankfully, it had settled down by race day and I completed the race in 19hrs 36mins. I was pretty pleased with the result although recognised there was still some room for improvement as I had a little dodgy spell between the 76-85 mile mark. So my first big race of the year was a personal “win”. 3 weeks after the Thames Path 100 was the GUCR and by now I was just recovering from races and tapering from the next one and in a phase where I was hoping my fitness work earlier in the year would carry me through. The weather and ground conditions were extremely wet here and despite some precautions (feet taping, changing socks, re-taping) I suffered some of the worst blistering I had experienced for a few years. To add insult to injury, the knee (which to be honest hadn’t recovered from the last race) was really sore and I ended up hobbling 60 miles of the race to the finish and then had to be carried home because I couldn’t walk. It wasn’t a pleasant experience overall, it was simply relief at the finish from gutting it out and death marching in. Pleased to gut the race out but a few hours slower than last year so I’m calling this one a “draw”. 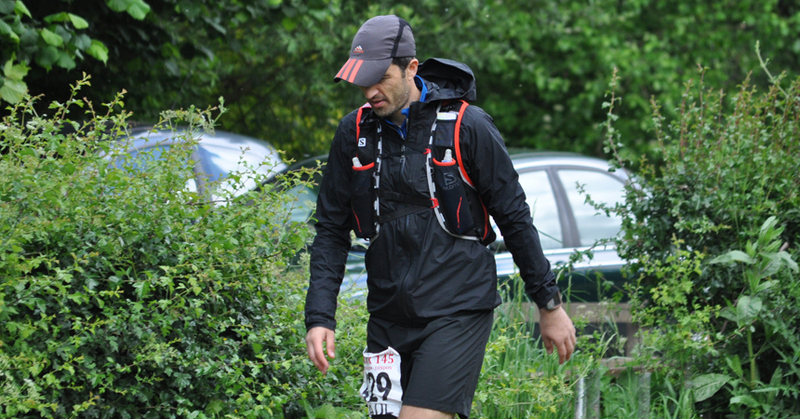 3 weeks after the GUCR was the SDW100 and the second race in the Centurion Grand Slam. I had rested before this one as I was feeling pretty jaded from the last two events and whilst training was minimal, the knee had responded to rest although the feet were sore. Mentally, I was probably a little demotivated and fatigued. 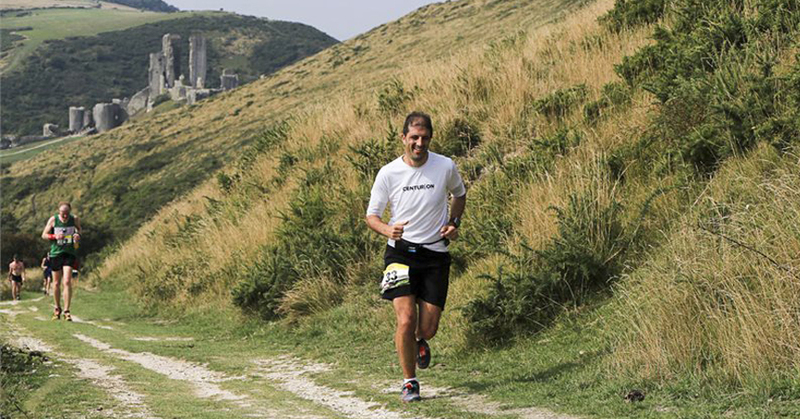 With this in mind I took it really steady from the start and took plenty of walk breaks throughout the race, the natural undulating nature of the course makes it easy to follow a strategy of running the downs/evens and walking the ups. Despite a bit of march towards the end, I had run on/off for the majority of the course and finished in 20hrs 17mins which I was pretty pleased with after the last two events. I was pretty happy to get close to a 20hr time after two big events and am calling this one another personal “win”. 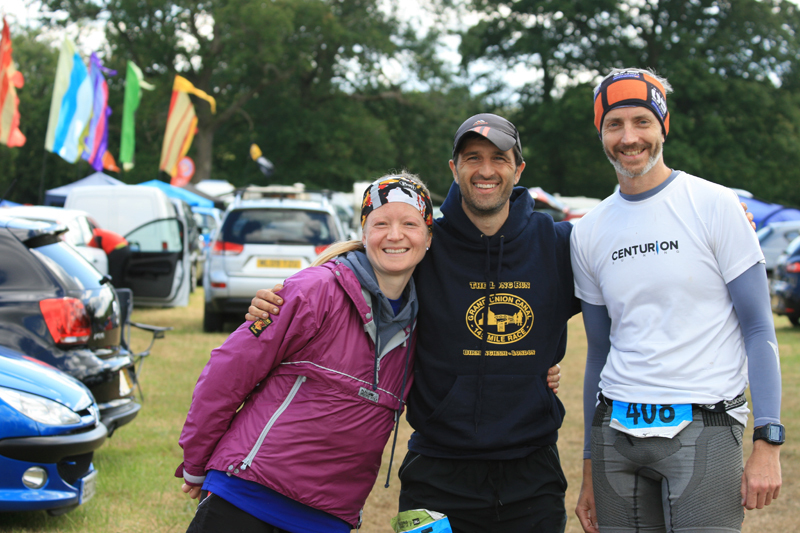 I had entered a 5 person team for my local Ultra event at the Endure 24 with Jim Seaton, Michael Sartorius and Wendy Shaw and Jamie Woods who were late replacements to the team. Whilst the plan was to run as best we could for each of our laps this was also very much a social event with lots of familiar faces also taking part. 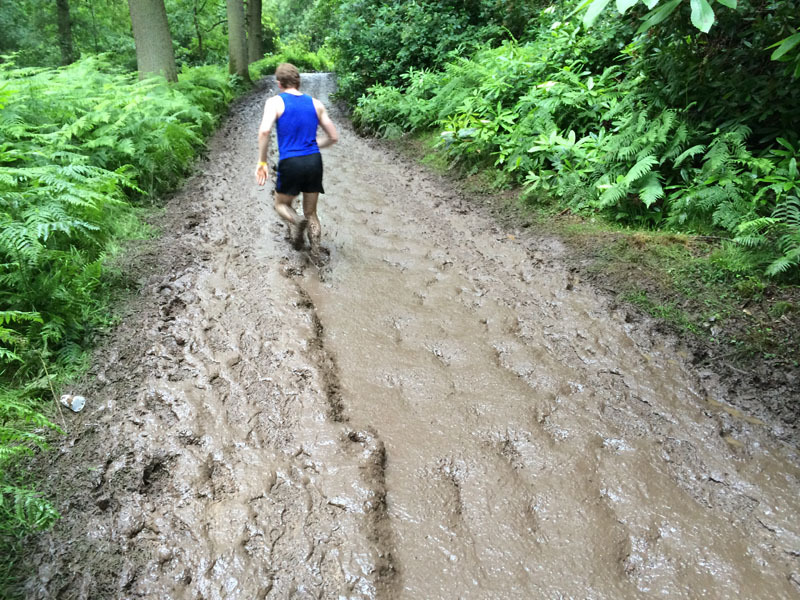 Unfortunately, the weather was horrific with heavy rain and hundreds of runners resulting in a churned up course and a bit of a mudfest. The team did well coming second in our category over 24 hours about 30 mins behind the winning team which we were pleased with. A wet but fun weekend was had by all! 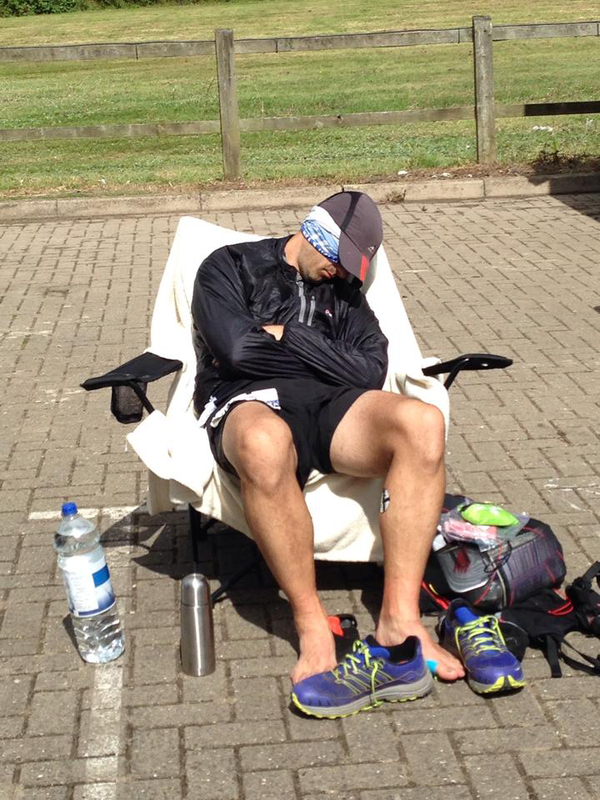 Due to work commitments, annual holiday and well… just life I hadn’t had the opportunity to train as I would like to for the NDW 100. Since the South Downs Way 100, I hadn’t completed any long runs over 13 miles at all. Not good, not good at all. Then before the event my calf went “ping” and it was a little touch and go whether I would be able to run. I managed to get myself on the start line having completed a couple of stop start 4 mile runs in the last week with the aim to just get the race over with. 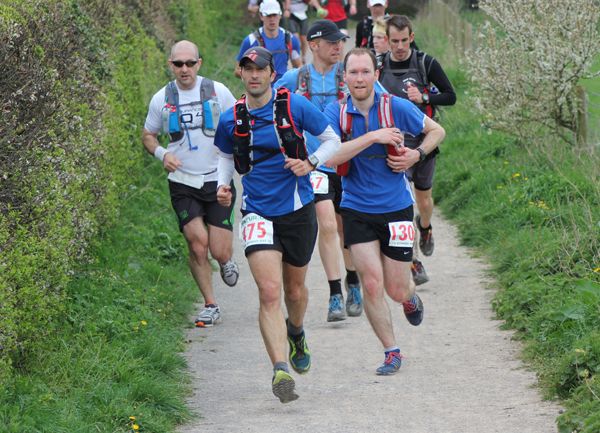 The first half of the race went reasonably well, with a lovely warm day and perhaps some residual fitness getting me to 50 miles although the up and down nature of the course meant it was a relaxed pace with plenty of walk breaks. The second half of the race went downhill fast and was a real struggle both physically with the calf complaining and mentally. 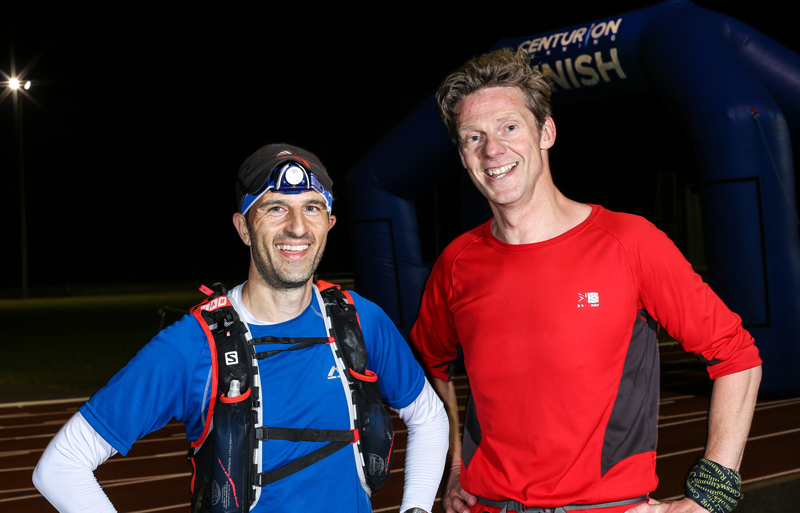 The night section was particularly grotty with the remnants of Hurricane Bertha unleashing her terror on those out on the course during the night and I grumbled, whinged and walked the second half of the race feeling pretty dejected finishing well over the sub 24hr time (25hrs something) I had been aiming for. Not a good day in the office and this one was a personal “loss”. 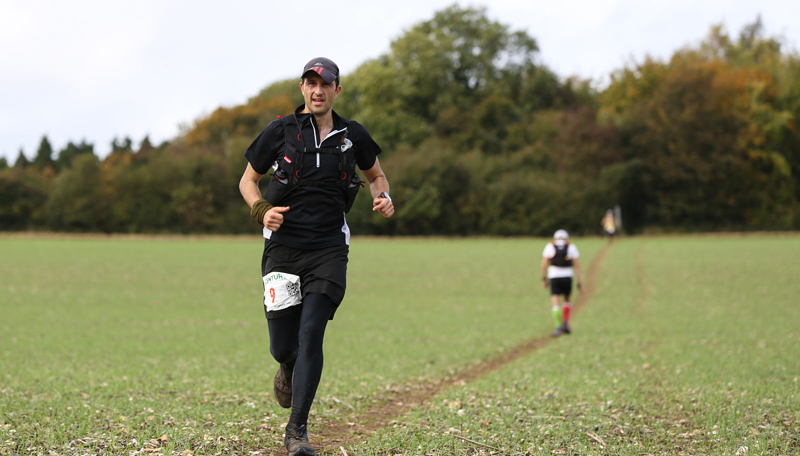 Less than two weeks later I was standing on the start line of the inaugural T184 Endurance Run a 184 mile run/walk/crawl self supported (only water supplied) run covering the full length of the Thames Path. 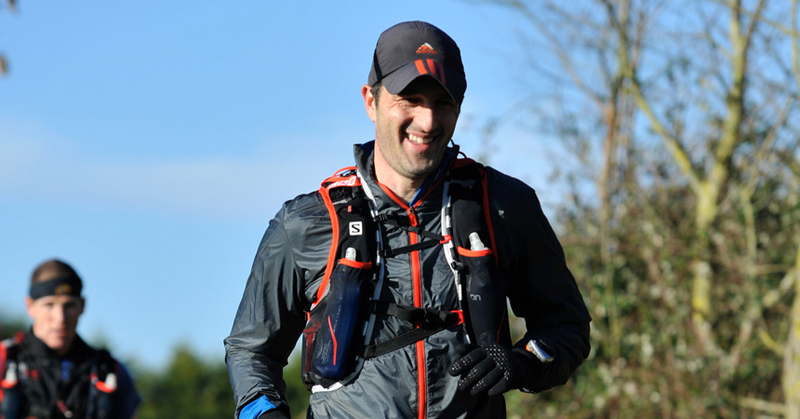 I has been involved in providing some input into the race for the Race Director and looking forward to completing the challenge and knew that at some point it would be a long walk but was hoping to just get it done. I DNF’d. I was physically suffering to some degree with battered feet and swollen ankles but I could have carried on in those conditions to be honest. However, I let the enormity of the race get on top of me to a point where I decided I didn’t want to march for another 20-30 hours by myself and I quit… and I hate myself for quitting. Reading the summary of my events of the year and you could see this coming a mile off and after a period of reflection (sulking) it was time get over it and learn a few lessons from the experience. This was another personal “defeat” for sure. In fact, I think my DNF blog was one of the most popular on my website (you vultures you!). Well if there’s so much interest in my failure I’ll just have to do it… no don’t say that. It will be no surprise that the T184 Endurance Run is now on my future to do list. Failure is not an option! I had six weeks to get myself physically and mentally prepared for the Winter 100 and the Purbeck was planned as a solid training run with my buddy Matt Coggins who now lives in the area. It was a challenging marathon run and I was pleased to finish in sub 4 hours. 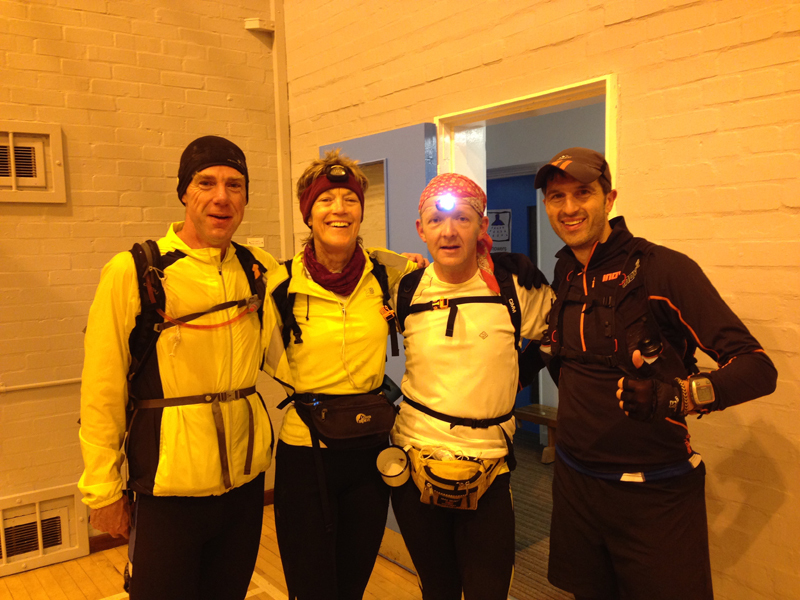 This was another planned training event for the Winter 100 and is a 50 mile hike or run around Shropshire. I have hiked the event three times in 20 something hours and always promised I would come back and run the event. The only issue what it was cutting it a little close only 2 weeks before the Winter 100 but I though I would have sufficient recovery time and went for it anyway. I ran the event in 11hrs 30ish which was a 10 hour PB. One of the rules of the event is that people have to be grouped up at night so the second half of the race you are moving at the pace of the group. Thankfully, I was grouped up with a people of a similar mindset (and some great local knowledge) who wanted to run as much of the route as we could and we finished in a satisfactory time. So my (personal) results for the year was 2 wins (TP100 & SDW100 results), 1 draw (GUCR) and 2 defeats (NDW100 & T184) so it was all to play for going into the last game of the season. It could have been just the finish of the Centurion Grand Slam but some pre-race banter with Nici Griffin turned it into an epic battle of “Griffin” vs “The Hat” with a sub 20 aim or I lost the hat. Based on the racing, the time was do-able but not guaranteed so it was a true 50/50 chance but a great personal motivator for me. I loved the event and the banter with other runners and supporters on the day was fantastic and added a lot of enjoyment to the race. From being in a hole at the T184 six weeks earlier, some solid training, not skimping on the long runs and some good motivation meant a great run, a Grand Slam finish, a new PB of 18.57 and I keep my “lucky” hat. So the season ended on a personal “win” which was good. It was time to rest the knees and I managed my lowest monthly mileage for about 3 years and just tried to “survive” and rest on 1 long run on the weekend and a few walks home which turned into short jogging sessions. So it wasn’t complete rest but the reduced mileage and downtime has certainly helped minimise the niggles. I had entered the inaugural Phoenix Marathon as an end of year run just to keep the fitness ticking over. The event itself was marred by heavy rainfall from start to finish which with my luck I’m fairly used to but wasn’t fun and I was pretty pleased to finish in 3.28 after not doing much for a few weeks (but was probably well rested). 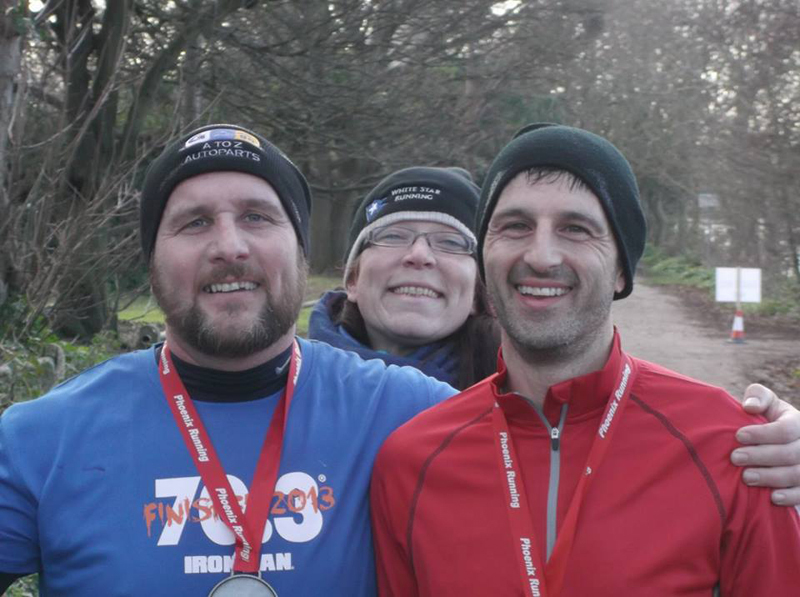 There was time for a final marathon and a return to the Phoenix event for their end of year marathon. The weather was crisp, cool and bright which was perfect for running and I had an enjoyable run with Stouty and finished in 3.22 followed by Sunday dinner at the Pub next to the start, so not a bad finish to the year overall. 29 days done, two to go. Despite having to juggle a few runs around the Xmas period it’s been a pretty normal months running. However from looking at the Facebook group there’s quite a few people taking part for whom this really is a challenge and it’s been quite nice to read people’s post and to witness those who have been sticking with it and have nearly completed their challenge. Well done to everyone who took part! Overall, a mixed year with some improvement on results from previous years which was great and pleased to see even when I’m now into my veteran years. There were also a few lessons learned for the future (fewer races/more focus and more rest required) which I will probably ignore so feel free to remind me of this when I end up doing something silly again next year. I hope you’ve enjoyed the read and look forward to seeing a few of you at events next year. Happy New Year everyone!